You are here: Home / Animal Attacks / Animal Attack Week? Above: Tatiana the tiger who attacked and killed 17-year-old Carlos Sousa Junior. Notice that her expression indicates that she is irritated. Photo credit: Penni Gladstone. I just heard that the City of San Francisco is denying any responsibility for the death by the claws and teeth of Tatiana the San Francisco tiger. This is just the beginning of the legal process that will probably take years. The suit has been passed on to the Zoological Society and the company that insures the zoo. Personally, I am sick of the sue happy society we have become. Yes, I am sad to hear of the death but I’ve worked in zoos and see how some people antagonize the animals and still believe that she had to be seriously provoked for her to escape her enclosure. You can read more about the tiger attack at the Los Angeles Times. The moral at the San Francisco Zoo has been reported to be at an all time low. 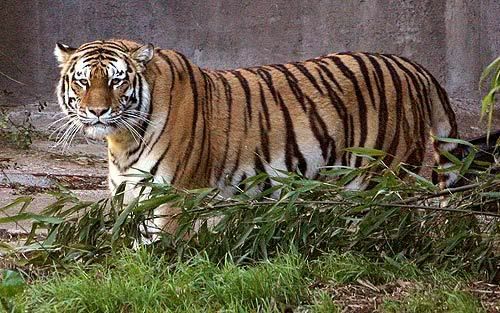 Escapes from accredited zoos happen and are rare in comparison to the private sector where accidents happen more frequently such as this recent tiger attack where a new volunteer was attacked by a tiger. The tiger was immediately shot at the animal facility called Wesa-A-Gey-Ya. From what I understand the facility is suspected of breeding and the poor conditions are nothing new. You can find blogs that discuss it such as the one over at Big Cat News or personal ones such as this webpage. The tiger attack is under investigation but I have to say that 50 plus predators is a hard number to manage and feed. Poor conditions and poor care always end up resulting in attacks from what I have seen. I remember one facility I worked at where the feeding had been cut back. We hit up all the local grocery stores for donations and had to rush to the bank to make sure we cashed our paychecks before any funds were depleted and they bounced. That year I saw more attacks than any one person should witness–tigers, lions, lionesses, leopards, bears, and other incidents but they seemed to pale to those. The problem today is that there are many facilities and organizations that claim to be santuaries when they breed and sell animals. That makes them breeders–not sanctuaries or conservation oriented efforts. There is a tremendous problem of breeding lions and tigers for various private owners or for trade such as the lion photo opportunity industry as promoted by the lion habitat in Las Vegas. Touches also into the issue of inbreeding the white tigers for the attractive value (none for conservation) to get people into the gate of zoos and other shows. Yes, people want to conserve what they see up close and personal–but at what cost? I’d be interested in your comments on this hot topic–just leave one below. Lucky Leap for Taunted Tiger? It’s a shame that the big cats are not be treated with the respect that they deserve by so called sanctuaries. It is also a shame that people feel the need to antagonize them at local zoos – I’m not sure what they expect when they do? What do you think is the fix? Regulations or public attitudes? I’m not sure what the fix is–it is a problem that has existed for eons. When I was working in a zoo off the coast of France everyone warned me about the visitors coming from there–I was stunned at how disrespectful they were to the animals and to the rules. Part of the problem is the demographics of some of the visitors. Some people love animals while others think nothing of the animals–cheap entertainment. As far as the sanctuaries, there are now some organizations that are attempting to use peer pressure and professional memberships to bring that specific industry into alignment. 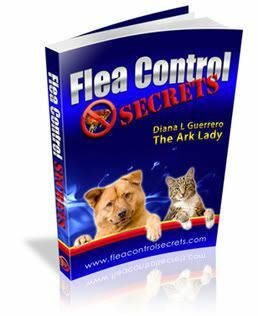 Overall, there are problems in any facility that houses animals–public or private, accredited or not, there is no simple answer…let me know if you have any ideas!